Danny Firestone is an Individual & Family Therapist (RP) with over 30 years of direct service experience. He has an Honors BA in psychology and a M.Ed. in counselling psychology. He has spent his adult life working with adolescents, young adults and families struggling with the problems that result from overwhelming challenges in regulating their emotions, thoughts and behaviors. As a particularly empathetic and skillful therapist, he has built a reputation for working with the hardest to serve clients. Over the years, he has worked extensively with people dealing with problems related to attention deficit disorders (ADHD, ADD), Conduct Disorder, Oppositional Defiant Disorder, Intermittent Explosive Disorder, Mood disorders (Depression; Dysthymia, Bi-polar), Anxiety disorders (OCD; GAD; PTSD), Borderline Personality Disorder, Eating Disorders, Addictions (gaming, drug use), Autism Spectrum Disorders (Asperger’s), and Parent/child relational problems. Danny’s strengths lie in his ability to “go where angels fear to tread”. He believes that no matter how self-destructive or impaired someone is, they deserve a therapist who will do what it takes to help them find a better way to go through life, and he is confident enough to journey with them through their darkest thoughts, feelings and experiences. Danny’s ability to conceptualize the problem from the client’s point of view, allows him to engage more difficult clients and help them work towards a more integrated, less dysfunctional lifestyle. Danny also understands that many young people and their families are struggling with powerful negative emotions, impulses and behaviours, and they have become trapped in “the blame game”. He believes “the truth shall set you free”, and he is known for his ability to take on “the elephant in the room”. He is prepared to fight the good fight, even when it gets messy. He will ask the difficult questions, challenge you when you are full of unresolved contradictions, and support you throughout the process. He believes that empathy and compassion are essential tools for living a good life, and that all people, no matter how hopeless they feel or how much they struggle, have the capacity for change and the desire to live a life worth living. He also believes that people have to live skillfully to get the most out of life, and he has devoted his professional life to helping people learn and live these skills. The skills to accept the things they cannot change, the skills to change the things they can, and the skills to determine the difference. Danny’s primary focus over the past 13 years has been developing his skills and practice in Dialectical Behaviour Therapy (DBT), a modification of cognitive behavioral therapy (CBT) developed by Marsha Linehan out of the University of Chicago. DBT was designed and adapted specifically to treat the problems related to emotional dysregulation, including behaviours such as self-harming, suicide thoughts, urges and attempts, depression, anxiety, bipolar disorder, post-traumatic stress disorder (PTSD), eating disorders, or alcohol and drug problems. Over the past decade in particular, Danny has had intensive training in DBT, has taken a lead role in consulting with and developing a DBT residential treatment program, and has developed and presented several trainings and workshops in DBT for other service providers. Danny believes that DBT is a therapy uniquely suited to the problems faced by the families of struggling adolescents, and to some extent, to everyone who wants to get more out of life. It avoids the blame game, while teaching skills and providing coaching to facilitate skills development in all areas of life. It brilliantly combines Acceptance and Dialectics to help clients experience their emotions fully while being in control of their behaviors in order to live “a life worth living”. Melanie Cheskes has been working as a clinical social worker since 2012, providing counselling services to youth, adults, couples and families. Melanie will work hard with you to develop an understanding of your strengths and challenges, and identify your goals. She will listen to you with compassion, empathy and curiosity. Melanie is direct and transparent, while being mindful of moving at a pace that works for you. She will not shy away from the things that are hardest for you, but will assist you in creating a safe space to deal with them. With you, Melanie will learn about and tackle habits and ingrained patterns non-judgementally, moving towards knowledge and skills that will improve your life. In individual work, Melanie will ask you the difficult questions to help you uncover thoughts and emotions, and make connections between your experiences, belief systems and behaviours. Melanie believes that the first step to recovery is in self-reflection and recognition of patterns that aren’t working. With couples and family members, Melanie will work hard to learn with you what is underneath the anger and avoidance, ingrained patterns and hurt feelings. Coming to recognize common goals between her clients is a key step to making positive change in relationships. Through psycho-education, empathy, modeling, and facilitation of listening and sharing, Melanie will help you to be heard. She will help you to clarify your beliefs about the self and the other, and take responsibility for the impact that we have on one another. Melanie’s career first began in fine arts and teaching in 2000, from which she has a Bachelor of Fine Arts and Bachelor of Education. Here Melanie developed a passion for working with ‘difficult students’, who had come to be identified as having learning and/ or behavioural challenges. Melanie’s compassionate, direct and creative approach with both students and their families allowed them to build a sense of connection and confidence, and learn skills to improve their school experience. Melanie’s love for working with students and families inspired her to return to school herself to earn her Master in Social Work so that she could continue working with people, but from a different lens. In her career as a therapist, Melanie has provided counselling in multiple settings in the community including walk-in counselling clinics, home-hospice care, the public school system, and long term community counselling clinics. Through this experience, she has developed expertise in evidence-based practices including dialectical behavioural therapy, solution-focused therapy, narrative therapy and cognitive behavioural therapy. Erin has been working as a clinical social worker since 2013. 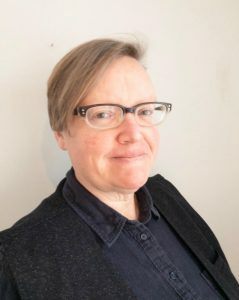 She has experience in various settings including hospital emergency departments and inpatient mental health units, sexual assault and violence services, correctional facilities, and in child welfare. Her career has been multifaceted and has included working with individuals as well as providing support and psychoeducation to families. Erin believes that no matter what the motivation, seeking treatment is a step that can change one’s life. Finding the right therapist and the right kind of counselling is key to attaining your therapeutic goals. She believes that clients are not defined by their symptoms such as generalized anxiety, depression, social anxiety, obsessive compulsive disorder and impulse control disorders. 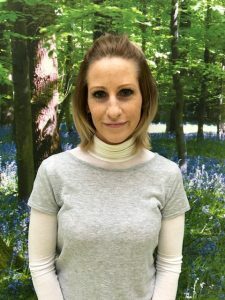 Erin expertly selects therapeutic approaches and treatments to empower clients by teaching them how to change their thinking patterns, their behavioural responses, their tendencies to self-harm or become suicidal, and their ability to regulate emotions in order to improve their quality of life. Erin’s passion for mental health is tangible. Her down to earth approach and warm personality enable her to connect quickly with others. She provides the right combination of support and challenge so that clients can move towards a more skillful and productive life. Erin is deeply committed to helping people make the changes they want to see in their lives. In a one-on-one setting, Erin will help you explore which areas of life you would like to see changed. She approaches therapy by taking an empathetic stance and creating a safe place where together you can develop a trusting rapport in order to explore these issues without fear of judgment. Erin will help you learn to navigate life with improved self-esteem, relationships, awareness and resilience. When clients learn to understand, value, and accept their emotions, they can maneuver various aspects of life which have previously overwhelmed them. 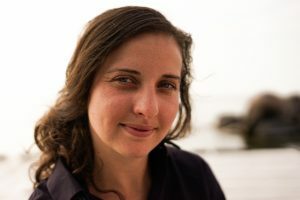 Erin draws from a variety of treatment modalities including DBT, CBT, brief solution-focused therapy, trauma focused, family systems, and culturally sensitive therapy. Erin comes from an Anti-Racism, Anti-Oppression framework. “Having courage does not mean that we are unafraid. Having courage and showing courage mean that we face our fears. We are able to say, ‘I have fallen, but I will get up’. Jane Walsh is a holistic Counsellor and Psychotherapist with a Master of Social Work (MSW) from the University of Toronto. She has over 25 years of experience as a therapist counselling couples, families and individuals. She has advanced education in couple counselling, attachment and certification in DBT. Couple Counselling and family work require openness and above all else honesty. By focusing on communication, conflict reduction, and fostering commitment, Jane allows individuals to face challenges to make lasting changes. Jane brings DBT to high conflict families and couples work. “The path is made by walking” is a famous Mexican quote that Jane lives by in her professional work. Through education, coaching and skill building she teaches adults and youth to bear the feelings that overwhelm them and can tear apart families and relationships. Jane does not give up on difficult clients and often sees clients who have been to multiple therapists looking for someone with the ability to tolerate high conflict, intense distress and heightened emotional responses. Anger and outbursts are things Jane works with to see what pain and unexpressed emotions these are likely masking. DBT as a therapeutic model is particularly helpful. Acceptance and Dialectics aid people to experience their emotions while being in control of their behaviors to have both happy lives and relationships. In addition, Jane specializes in the damage that parent youth conflict can have on an intimate relationship. Jane is often asked to see couples who are working with other therapists to address the conflict with their children and the impact on their relationship. She explores the impact and the dynamics that may be contributing to the family conflict and also coaches parents to support youth receiving DBT. Jane will not hesitate to name the issues that need to be addressed in families. As a DBT therapist, Jane’s active input and participation in the therapy process is her greatest skill. Although she is dedicated, direct and chooses not to waste your time by beating around any bushes, Jane is known for her kindness, her easy going nature and her delicate funny bone.